It’s no secret that people love Charleston and all the beauty the city has to offer. However it can be much harder to find new ways to explore the city when winter weather has turned the warm city we love into a chilly place. The team at Cannon Park knows Charleston still has plenty to offer, even when the temperature keeps us from breaking out our bathing suits and hitting the water. Take the opportunity to find new places to explore within our beautiful city that are enjoyable regardless of the weather. Check out a few of our favorites! The South Carolina Aquarium has magical exhibits to attract people of every age! With over 60 exhibits that bring you through the variety of ecosystems found in South Carolina, you can expect to see a variety of marine creatures from the islands and sea. The aquarium is also home to an amazing sea turtle hospital, a touch tank and interactive exhibits for kids. Along Meeting Street you can find nearly a dozen places of historic interest, including museums, parks, places of worship, and the city market. It’s all conveniently accessible through Charleston’s Museum Mile. See all of these sites that are right in the heart of Charleston and then follow your nose to find some good food at any one of the amazing restaurants Charleston has to offer. Charleston is a city of culture and as such has no shortage of beautiful works of art. Through the Charleston Gallery Association, you can look through and find a gallery that peaks your interest or participate in one of many Art Walks they have throughout the year. There are 42 Galleries registered with the association, all within a close proximity to one another downtown. Charleston has some of the most exciting places to see live theatre. Experience the timeless magic of the Dock Street Theatre, the first place in America used for theatrics. You could visit any one of the other live theatres in town. So grab some friends, find a show and enjoy as the story unfolds in front of your eyes! A winter day at the beach can be just as beautiful and relaxing as one in the summer. If the temperatures are chilly, grab some blankets and hot cocoa and head to Folly Beach. Walk the pier or beach and see what surprises you can find along the shore or just lay a blanket down and enjoy the sea! 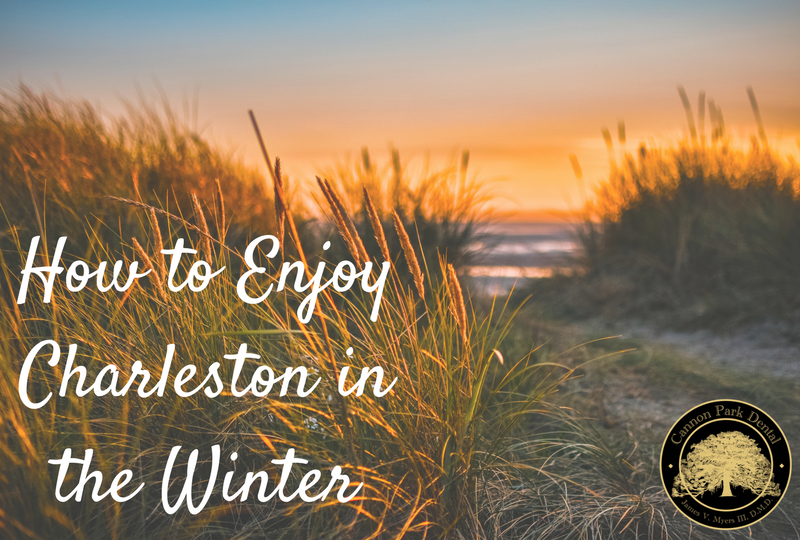 Our Cannon Park team hopes you enjoy exploring Charleston as much as we do! If you’re anywhere near Ashley Avenue during your exploring, stop in and see us at Cannon Park. Need an appointment? Call us at (843) 723-5346 or visit us online.